If there’s one thing that can be said about Ryder Ripps, it’s that the artist loves context. 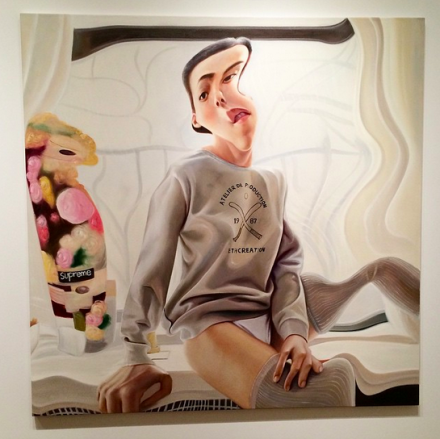 Over the past few years, the artist has produced a number of timely and often razor-sharp critiques on the notions of authorship and production in the digital sphere, including his “WhoDat.Biz” troll of Kanye West, and his recent, controversial Ace Hotel performance piece, in which the artist hired a group of “sensual masseuses” to draw pictures for him to protest what he saw as an inequitable payment situation. 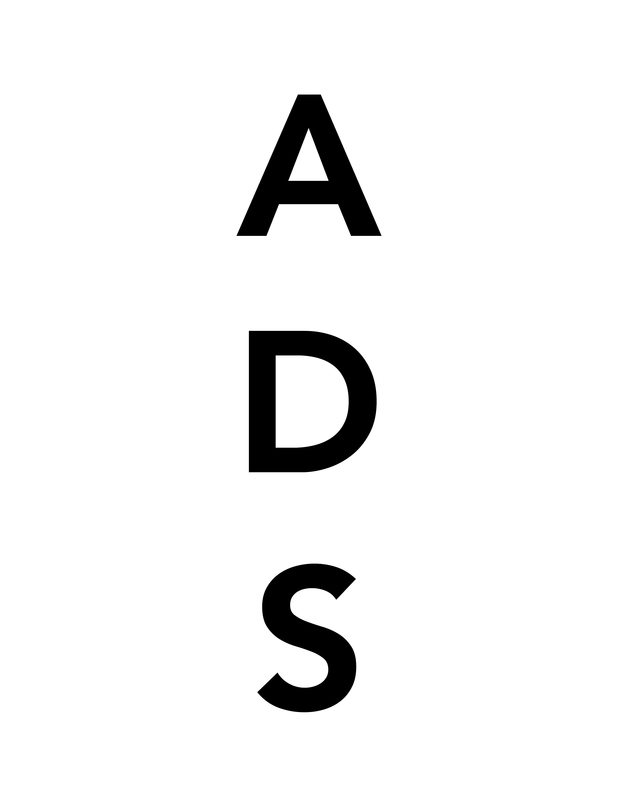 This sense of controversy and frustration sits at the center of the artist’s practice, elements that inform the average internet user’s daily experiences with spam, hacked websites and clickbait, and it’s this same manipulation of context that informs the artist’s first gallery exhibition at Postmasters, which announced their representation of Ripps earlier this year. 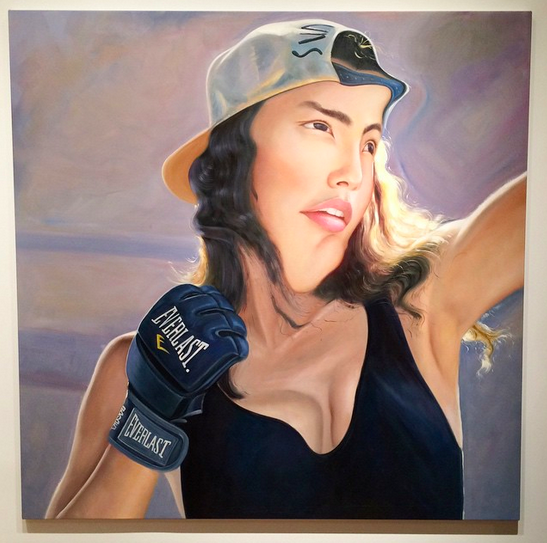 The works here continue Ripps’s practice as a cultural consumer, adapting a series of Instagram shots of power user Adrianne Ho, and warping them into grotesque parodies of the human form. 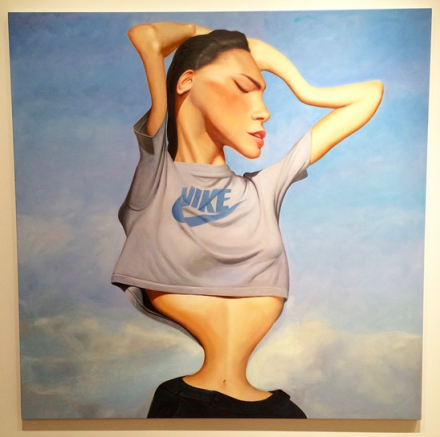 Ho’s eyeballs swell and distend, her waist contracts to almost nothing, and her form undergoes constant contortion. 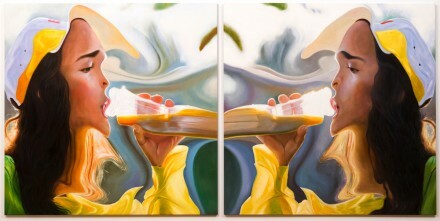 There’s multiple languages in play here, incorporating the immediately recognizable elements of stock image photography (in one particularly strong diptych, Ho’s body seems to swirl around a carafe of orange juice as she drinks it), as well as the poses and body alterations of fashion photography. Then there’s the work itself, rendered in a soft, fluid hand that clashes repeatedly with the work’s deranged figuration. Taking a page from Mike Bouchet’s playbook, the works were actually manufactured in China, where a factory of artist’s created the works and shipped them to the states, where Ripps’s assistants finished them off. Perhaps the most noteworthy element of the work, cultural exchanges notwithstanding, is the artist’s understanding of the color palette, and his work’s “end user.” The canvases on view seem like a contemporary interior decorator’s dream, swirling colors and faded pastels that would look quite at home over any minimalist sofa. It’s almost as if Ripps is playing a game of expectations, presenting a relatively facile set of conceptual signifiers as the backdrop for a somewhat classical format the artist has rarely explored. Even in the realm of digital art, it’s physical product (canvases, video installations, etc.) that seem to move, and the artist seems to have a firm understanding of his work’s commodity imperative. It’s this fusion of techniques, of multiple languages of image construction, consumption and distortion that make the work here so foreign and so immediate simultaneously. Early critiques of the show seemed to find fault with the somewhat empty conceptualism at play, but the artist’s practice is no less defensible than any other exhibition showered in the rhetorics of International Art English. Where Ripps’s work seems to differ from his contemporaries is his recognition of the surface of the canvas as a site of ideological struggle, and his deliberate play with its own self-preserving rhetoric. He isn’t a painter, nor does he seem to accept that mantle, but rather, takes the opportunity at Postmasters to address the format and its particular currency in the contemporary discourse. Ho is on view through February 28th. This entry was posted on Monday, February 16th, 2015 at 12:00 am	and is filed under Art News, Featured Post, Show. You can follow any responses to this entry through the RSS 2.0 feed. You can leave a response, or trackback from your own site.